On occasion I will pop over to NPR’s website and see what food topics they are discussing. This morning I was read and listening to a story called “Vegetables Likely To Take More Of Your Plate In 2016” from their The Salt section of their site. One of the big things I got from their article was the push to put vegetables at the center of the plate, instead of just being regulated to side dish status. This got the “hampster wheel” turning in the brain. This got me thinking how come we don’t eat more vegetables. I think there is one key reason that veggies aren’t the star of our meals. It’s because we treat vegetables as an afterthought. I think nowadays people are at least trying to eat more vegetables. But how much though do we give to our vegetables. What I think is happening all too often that people are planning their meals around their protein, their meat. All the time and effort is to make the meal as tasty and flavorful as it can be. At the same time the vegetables are neglected. You might buy some broccoli and boil it to death and throw it on the plate. You pat yourself on the back for serving up veggies. Then you end up wondering why no one is eating it. Or you throw some frozen corn in the microwave and toss that on the plate as a side. We don’t try to make them tasty, we just throw them with the meal so that we are saying we are eating vegetables so you can pat yourself on the back. How many times have you ended up having leftovers of the veggies that then end up rotting in your fridge? If they weren’t that great the first time, why would anyone want to eat them leftover. While we have plenty of recipes ready for our meat, we may not have many for our veggies. And if you want to eat more vegetables in 2016, you need to put more though into them before you cook them. If you know how to cook and season your vegetables well then I guarantee you and your family are going to enjoy them more thus eat more vegetables. Make them something to get excited about. One simple way I believe to make vegetables more tasty and more desirable is to forget boiling them in a water and roast them in the oven. So often I have found vegetable taste better when roasted. The sugars in the vegetables caramelize, creating great flavors. You really haven’t had cauliflower until you have had it roasted. The process makes it so tender and you can really spice it with your favorite spices. 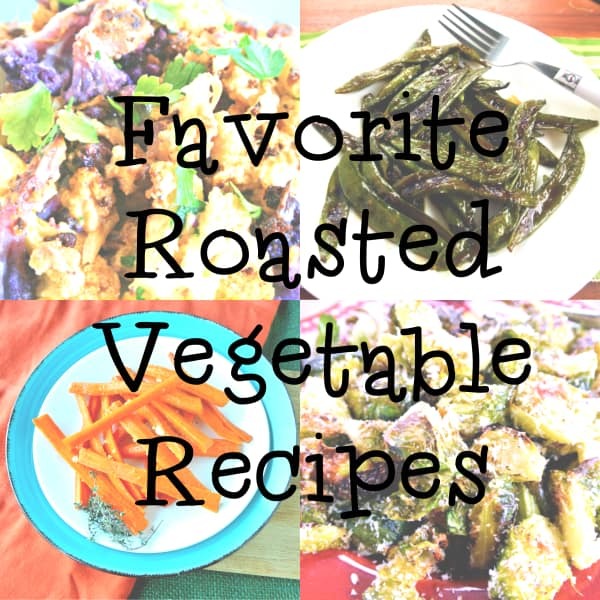 I also love roasting carrots, squash, brussels sprouts, asparagus, and even sugar snap peas. Previous Post: « Why Did I Find Seeds in Seedless Cuties or Halos?